This new interpretation of the legend of King Arthur’s Excalibur is inspired by the fabled island of Avalon, regarded as the place where the mighty sword was forged. 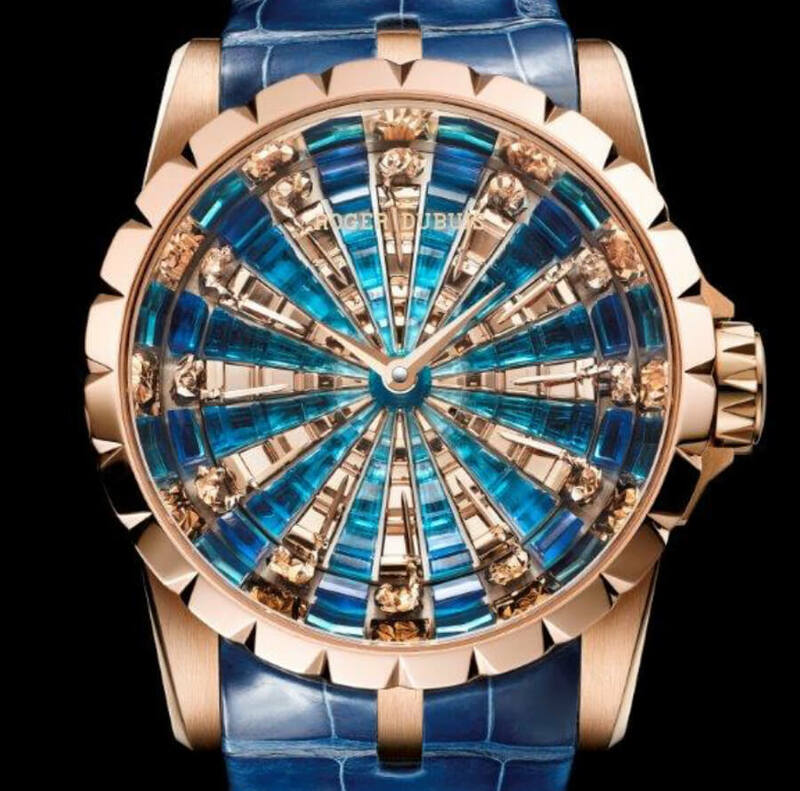 In a radical combination of disruptive materials, extreme craftsmanship and sophisticated horological complications, state-of-the-art pink gold low poly-sculpted knights gather around a dramatic blue enamel table. Ancient myth meets 21st century art form. 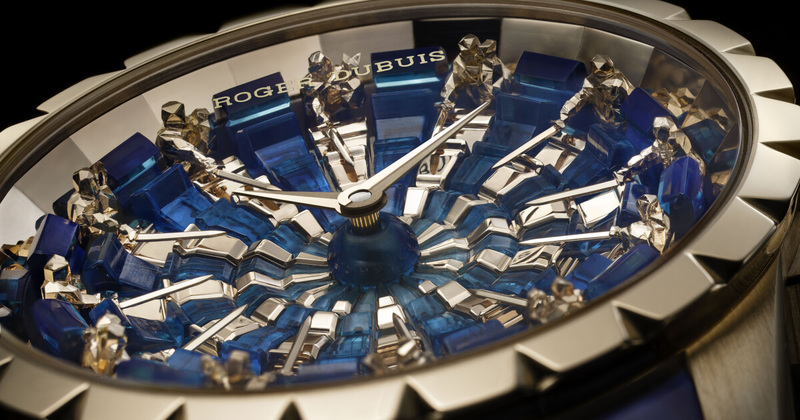 Fearlessly coupling a powerful legend with a technical feat and a contemporary artistic approach, the Excalibur Knights of the Round Table III epitomises the no-holds-barred Roger Dubuis approach. A taste for off-the-chart adventures that impels it to take on even the wildest challenges. Originally used for making 3D models and scenes for videogames, low poly art is a technique in which polygonal facets are used to create sculptures or paintings. It is increasingly popular due to its render speed achieved thanks to low polygonal resolution. Used in this instance to create 12 new expressive three-dimensional pink gold knights depicting the hours, it showcases the peerless creativity and dynamism of the Roger Dubuis artisan-warriors and their commitment to “disruptive materials and progressive complications”. Ensuring both precision and reliability, self-winding Calibre RD 821 – an exclusive in-house movement such as those equipping all Roger Dubuis timepieces – drives the hour and minute functions while delivering a 48-hour power reserve. Like the knights, every detail of the movement is hand- finished according to the traditional criteria governing the prestigious Hallmark of Geneva. 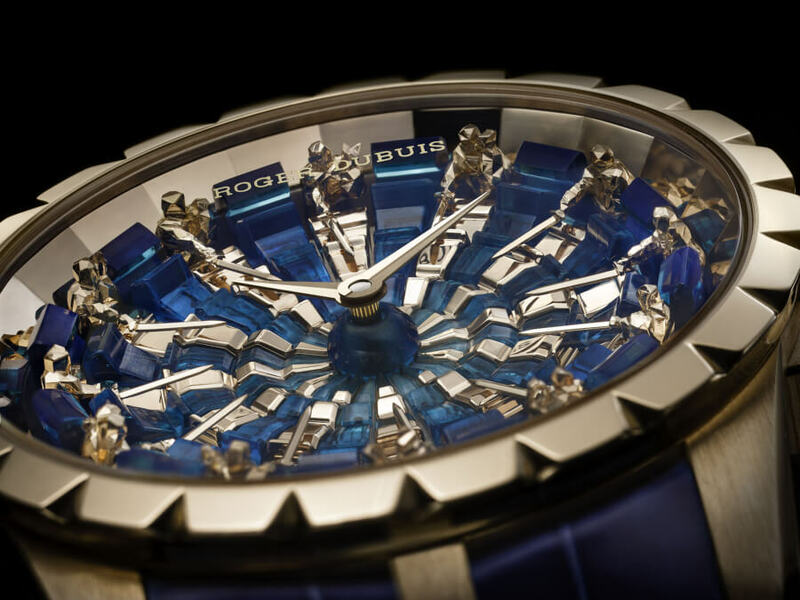 The trail- blazing Excalibur Knights of the Round Table III embodies eloquent proof that true legends never die, especially when spectacularly reinterpreted by Roger Dubuis. In keeping with the cornerstone mantra of the brand that dares to be rare, this standout creation is issued as a highly exclusive 28-piece limited edition. 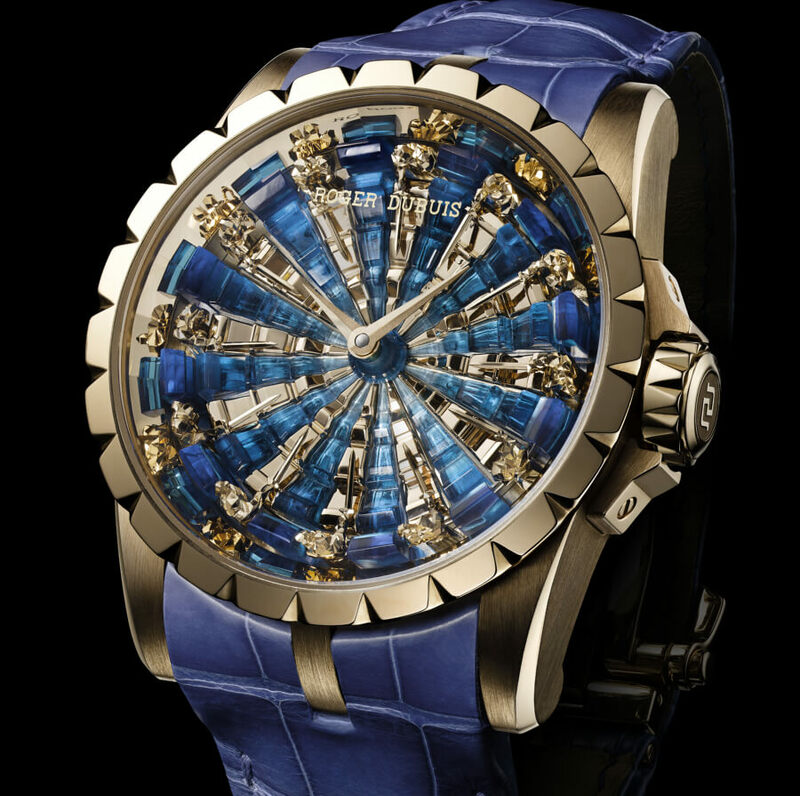 The price for the Roger Dubuis Excalibur Knights of the Round Table III Hyperwatch is Euro 272,000,-incl. 20 % tax.